What follows is a statistical analysis of Munroists in terms of distribution by year and month, based on the list of numbered completers as compiled initially by Eric Maxwell (1891-1978) of the Grampian Club. 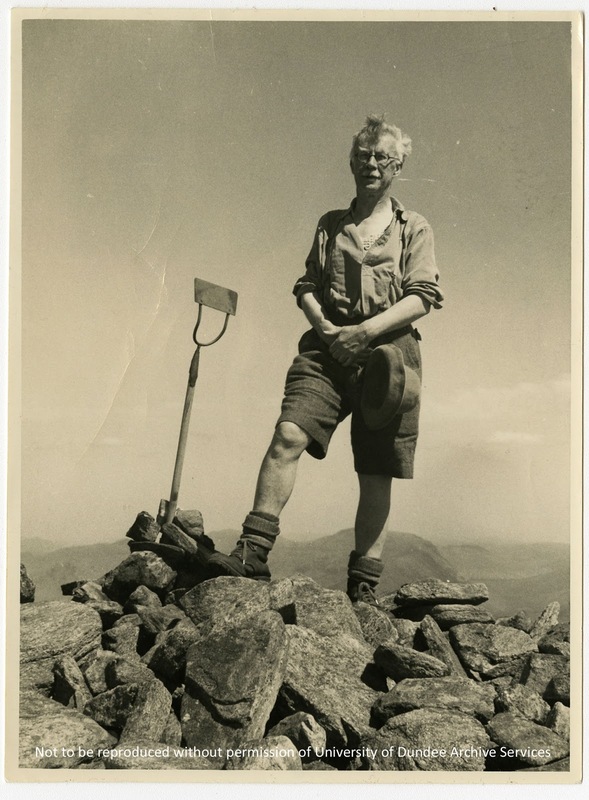 Since 1970, when the number of recorded Munroists reached 100 and Maxwell “closed his book” as he put it, the list has been maintained by the Scottish Mountaineering Club – a tremendous effort both in terms of gathering a huge amount of hill-related information and also compiling a valuable social and historical document. I should begin by outlining how all this information – the raw data, if you like – is collated at SMC level. As most Munroists will be aware, to acquire a number (and a certificate, tie or brooch should you be so minded), it is necessary to write to the “clerk of the list” who for the past few years has been David Broadhead. Prior to him it was David Kirk, and before that Chris Huntley and the late Bill Brooker. Each year’s stash of letters – concerning not just initial Munro rounds but also repeat rounds and completions of the Tops and other categories – ends up in a large ring binder and in due course finds its way (courtesy of the diligent SMC archivist Robin N Campbell) into the club’s archive at the National Library of Scotland in Edinburgh. I began researching this material around 20 years ago, when I would travel to the National Library armed with a bulky 1990s laptop and spend whole days filleting the archived letters for details of completion Munros along with other bits of potentially useful information. In more recent times this process has been made considerably easier and more leisurely in that I’ve been granted access to the ring binders after the clerk has done with them and before the archivist squirrels them away in the library, so the details can be extracted in the comfort of my own home rather than having to trail through to Edinburgh repeatedly. For this kind assistance – and for the amount of collation work put in generally – I’m hugely grateful to the SMC in the form of its successive clerks and its archivist, all of whom have done considerable unpaid work in maintaining the Munroist list – particularly the clerk, who writes upwards of a couple of hundred letters per year and has to deal with a wide variety of queries plus the occasional impatient hill bagger. Reading through the archive reveals several letters of the form: “Dear Sir, I wrote to inform you of my Munro completion last Wednesday, immediately after coming down from the hill and before going to the pub. It is now Monday of the following week and I still await my certificate. Has there been some kind of problem to cause this delay?” It doesn’t seem to occur to such people that the clerk does all this in his spare time and might have other matters to deal with, be it work, family, even getting out on to the hill himself. Thankfully most letters aren’t like this – the vast majority of completers are polite, patient and appreciative – and the whole massive year-on-year archive of correspondence is a treasure trove for a hill researcher such as me. In terms of my own method of handling the statistics, over the years I’ve sorted the information into the correct timeline, listing Munroists in the actual order they completed rather than by when they notified the SMC. It tends to be forgotten that the numbering system is higgledy-piggledy, as numbers are allocated according to when the clerk is contacted, not when the round itself is completed. There are plenty of people – including those impatient souls mentioned above – who write in remarkably quickly once they’ve finished their round, but there are far more who delay a few weeks, months, years or even decades. It makes no difference – you’ll get the next number on the list once your request flops through David Broadhead’s letterbox – or at least once he sits down every so often to clear the backlog. This makes the numbering system only semi-representative of the actual timeline – and means that if someone is given number xxxx and then claims to be the actual xxxxth Munroist, they don’t really understand how the list works. To give one of thousands of examples of this, I wrote in seven weeks after my own 22 July 2007 completion on the Saddle and duly received number 3907. Also finishing that day, on Slioch, was Reg Abbott – who must have been quicker off the mark in the letter department as he’s no.3864 (and seems to have had better weather than me). Numbers 3905 and 3906, immediately ahead of me in the list, are Jan and Graham Pye who completed together on Mull on 25 August 2007 – just 12 days before I wrote in. Number 3908, by contrast, finished a couple of months before me: Laurence Kelly, again on Slioch, in late May 2007 (he didn’t give an exact date), so he must have been another late-notifier. In a further example of “mis-ordering”, my friend Bill Cook completed on the Cairnwell on 6 May 1990 (I was there, which makes me now feel a little old) but didn’t write to the SMC until late 2007 and is thus no.4003 – 96 places below me in the list even though he was the first of us to complete by more than 17 years. Another friend, Chris Osmond of the Desperadoes Mountaineering Club, is no.4002 despite having finished as far back as 20 November 1982 (on Tom Buidhe, one of only five known completions there). The great benefit of converting to the “real timeline” is that it allows an accurate picture to be built up of where and when people completed their rounds. I’ve written elsewhere of the spread of different last Munros, and I’ll come back to that another time, but for now I want to focus on the yearly and monthly spread of completions. I first knocked this into some kind of viable shape around 2009, but although I used the data in an illustrated talk given to several groups and clubs around that time, I never formally published any details. This was clearly a bit of a waste, so in the past couple of years I’ve done a lot more work on this – and of course have been able to read through the more recent batches of completion letters – until it’s now at a point where it feels it would be of use and of interest to the wider hill community (and also, I would hope, to Messrs Broadhead and Campbell by way of reciprocation for their own help). It should definitely be put out into the public domain rather than just lurking on my laptop, in case I go under the Cairngorm ski bus or something. I’ve recently finished reading through the 2016 letters, so that’s the cut-off point for what follows. There have of course been plenty of completions in 2017 (and probably already a few in early 2018), plus some completions from earlier times will have been added to the list during 2017, as happens each year. For the sake of neatness and clarity however – and because to try and do otherwise would be completely unwieldy at compilation level – I’ve not as yet paid any addition to completions sent in to the SMC after the end of 2016. The tables below thus include 6095 completions, a figure which includes adjustment for the seven known examples of people who are in the list twice despite having only done one round, and who thus have duplicate numbers: Sue Jardine 214/1597, Charles Alexander 360/2513, William Mackenzie 386/831, Allan Simpson 631/989, Allan Bantick 1006/1598, Peter Kerry 2997/3014 and Chris Low 3007/3058. There are of course plenty of namesakes in the list (five David Smiths, for example), but unlike the seven names given above these are different people with different rounds. The namesakes include some surprising examples, for instance David McSporran appears at both 4088 and 4170 for completions on 21 June 2008 (Bruach na Frithe) and on 7 August 2005 (Ladhar Bheinn) respectively. These two men are completely different people – and incidentally provide another example of mis-sequencing in terms of the numbering system, as the higher-number McSporran completed first. There are also three blank slots in the list, two of which are fairly well known. For years the SMC has included an Unknown Munroist, supposedly to account for however many unreported rounds there are, and while this has moved around from 276 – the number of Munros at the time the concept was invented – to 277 to 284 (the number of hills from 1997 to 2009 when Sgurr nan Ceannaichean was chopped down to Corbett height, followed in 2012 by Beinn a’Chlaidheimh), it has stayed there and hasn’t shifted to the current figure of 282. This is perhaps in part because to again change it would involve renumbering two-thirds of the Dale family, Christine, Michael and Simon, who occupy the 281, 282 and 283 slots for their joint finish on 30 July 1982. Then there is the omission of 666, on some kind of religious/superstitious grounds that a lot of people regard as a bit silly. And more recently – and far less well known – there is 5639, which if you look at the online version of the list contains a certain N O Body. This came about partly through my own involvement, after I pointed out to David Broadhead that George Bruce, who already had a slot in the list at 614 for a Ben Lomond completion on 20 June 1987, had latterly appeared again, for the same completion, at 5639. Rather than slot someone else into place to resolve the duplication (as has happened before), the clerk evidently decided to have a bit of fun and put Mr/Ms Body into the list instead. Fair enough. Anyway, enough of the preamble – you ought to have grasped the basic idea by now – and on to the main course. The series of statistical tables that follows should be more or less self-explanatory. There are eight main tables, with each line covering a year’s worth of first-round Munro completions as recorded in the SMC list – in other words completions that have been given a number. The first table covers the early years when such achievements were rare, and only includes those years where someone appears in the list – starting with A E Robertson on Meall Dearg, 28 September 1901 and ending with James Campbell in 1949 (neither the exact date nor the finishing hill is known for him – if anyone has information on this please let me know). Each of the next seven tables covers a decade, with totals given across the bottom. There has been at least one completion in each of the years covered by these latter tables – the last year without a listed completion was 1946. The list – up to Munroist 1745 – published in Munro’s Tables in 1997 appears at first glance to have no one listed for 1950, but the accomplished botanist Alf Slack (1913-98) who completed on the Saddle, 11 November 1950, was one of the more notable late-declarers and appears at no.835. The only year-change from that 1997 version included here concerns Paddy Heron (1907-68) who is Munroist no.21 and listed as having completed in 1953. However, I corresponded about this with the late Miles Hutchinson, who climbed around 100 Munros with Heron, and he was convinced that the completion came in October 1953, almost certainly on Bla Bheinn – hence the round is included in that line rather than in the one for 1954. The lines are subdivided into months, and at the end of each line there is an “unknown” column which includes anyone for whom the year is known but not the actual month. Note that in most cases it is possible to get a reasonable idea of roughly when in the year such people completed, as it will have pre-dated the letter sent to the clerk of the list. For simplicity however no distinction is made here between someone who wrote their completion letter in say March 1999 and another who wrote in November 1999, even though each might have said “I wish to put on record my recent completion of the Munros”. There are a few cases where someone has written in without giving any kind of date and the completion might thus have happened in the previous (or some earlier) year, but in the absence of any evidence such people are included in the year in which they notified the SMC. In recent years there have been far fewer of these “vague” people, as David Broadhead in particular has been successful in his request for completers to provide date/hill details concerning first and last Munros. Earlier years saw less detail from correspondents and more uncertainty in data-gathering terms, hence the higher number of “unknowns” for the 1990s than the 2000s; generally however the month if not the exact date is known for the considerable majority (more than 95%) of listed Munroists, and in quite a few cases I’ve been able to clarify dates by way of my own researches via correspondence, reading through club journals and so on. I don’t intend to analyse the tables in any great detail, instead leaving it to interested completers and others to pick out the bones from what is a pretty large sample and one which covers a considerable span of years. I will however flag up a couple of the more significant points. Perhaps the most obvious one concerns the changes in the annual tally of listed Munroists, with the first (slight) rise coming in the mid/late 1970s. Quite why this might have occurred is open to discussion, but it’s worth bearing in mind that two popular Munro-related books – Hamish’s Mountain Walk (detailing Hamish Brown’s continuous round of 1974) and Richard Gilbert’s Memorable Munros (a diary-type account of the author’s round which finished in 1971) appeared during this period – 1978 in the case of Brown’s book and initially 1976 for Gilbert although the more widely available edition appeared slightly later. It tends to be forgotten in our information-heavy age just how little reading material there was about Munros until the mid-1980s, and how influential these two books were for aspiring Munroists at that time. There was a further slight increase – although perhaps not statistically significant – through the early 1980s before a definite step up from 1984 (65 listed completions compared with nothing higher than 45 before then). Again various factors could have been and probably were in play – increases in leisure time and disposable income, improvements in the road infrastructure (for instance the southern half of the Loch Lomond stretch of the A82 was upgraded during that period) – but the arrival of the first two Munro-specific guidebooks were certainly significant: the SMC’s The Munros (1985) and Irvine Butterfield’s The High Mountains of Britain and Ireland (1986). These were big sellers and popular as Christmas presents (as was Martin Moran’s The Munros in Winter, also 1986), and it’s no surprise that the annual tally of completions rose significantly around this time, reaching between 100 and 150 each year from 1989 to 1994. On TV, Muriel Gray’s The Munro Show starting in 1991 was another popularising influence (another of her hill-related efforts, The Golden Cagoule from a couple of years later, perhaps less so). Less clear are the reasons for the next big jump in rounds, the rise into the 200s per year starting from 1999 (but note that 1997 currently has 199 listed completions and will very likely nudge up to 200 at some stage). The arrival of email and the internet during the mid/late 1990s was surely a significant factor, given that information about Munrobagging and all manner of other outdoor leisure activities could now be disseminated far more readily – and with this came the beginning of the rise of loose-knit online hillwalking groups rather than just the more formal clubs of yore. The whole Munro idea was by now much more in the public consciousness – it must have been around the turn of the century, for instance, that TV and radio weather forecasters began to make occasional reference to conditions “at Munro height”, even when providing general forecasts rather than specialised outdoor conditions reports. It will be seen that 1999 was an interesting and significant year. As things stand, there were 254 listed completions during that year (a figure which, as for most years from the 1980s onwards, might and probably will rise slightly – there were, for instance, two reportings of 1999 finishes during 2016, by Patrick Grant 5923 and David Traynor 6100). That 254 remains – by a fairly comfortable margin of 14 – the highest annual tally, a fact which refutes the assumption (quite often heard and certainly put to me as a researcher several times over the years) that the year-on-year total of new first rounds is steadily on the increase. The figures provided here show this not to be the case. Since 1999, most years have been in the 220-240 range, apart from the dip to 150 in 2001 and 180 in 2002 which was undoubtedly caused by the 2001 foot and mouth disease outbreak and the associated difficulty of getting free access to the hill. The figures for 2006-2014 have been remarkably consistent – always between 225 and 240 apart from 209 in 2010 (a dip which Max Landsberg, Munroist 5009, has argued relates to the eruption of the Icelandic volcano in the spring of that year). This period of consistency has been a plateauing, however, and the high point of 1999 has not been seriously threatened. There is scope for debate long into the night in bothies, hostels and pubs about why this might be. Also worthy of discussion is the apparent decline in new Munroists in the last couple of years – something which David Broadhead at the SMC has himself noted. The figure of 167 for 2016 is deceptive and should be treated with caution, as there is always a lag into the following year in terms of the reporting of rounds and there is no doubt that the 2017 batch of letters (which I’ve not yet seen) will include a fair few 2016 finishes. This delayed effect will almost certainly not be enough to boost the total into the standard 225-240 range, however, and it is quite possible that the eventual figure for 2016 will remain below 200. Given that 2015 only saw 208 rounds (again there will be late referrals to come, but probably not so many given that more time has passed), there does seem to have been a dip of late which may or may not prove to be a long-lasting one. If numbers are tailing off a little, this might seem curious given that the Munros are now well-known almost to the point of ubiquity, there’s certainly no shortage of people on them, and it’s almost certainly the case that doing a round by standard routes in summer conditions is easier than it’s ever been – particularly given the modern trend for hiring a guide and “clearing out” the Cuillin mid-round rather than being stuck with a few awkward summits at the end. In regard to this latter point, it’s possible that the recent decline could be linked with the Munros providing less of a challenge than used to be the case – although generally something becoming easier leads to an increase rather than a decrease in people doing it. Alternatively, it could be that the number of completions is staying much the same but fewer Munroists are choosing to record their achievement with the SMC given that overall numbers are now so large that some feel it’s all becoming a bit pointless in that regard. This overall busyness is also surely linked to the obvious fact that most Munroists don’t stop when they complete their first round, with majority staying fairly active – if perhaps less focused – on the Munros; repeat rounds are relatively common – roughly one in every ten Munroists goes on to do them again. Others switch to Corbetts (around one in 20 Munroists adds a round of the lower but not necessarily easier category), while plenty more spend the rest of their days happily pottering up and down local or favourite Munros without any intention of adding a second round – this has been my own post-completion approach. One other aspect worthy of a few words of analysis is the by-month breakdown of completions. It’s no surprise to see that not many people finish their round in the “GMT months”, November through to March: fewer than 7% of completions come during that part of the year. What is perhaps surprising however is that June with its vast acreage of daylight isn’t the most popular finishing month: this honour falls to September, and to date (well, to the end of 2016) it’s the only month with more than 1000 listed first-round finishes – perhaps appropriately, given that Munroist no.1, A E Robertson, started that trend too by finishing in September. June comes second, then August, then May – with another oddity being July’s status as a consistently quiet-ish finishing month over the years. Its total of 754 completions is a hefty number for sure, but it’s well behind the other four summer-ish months and only 60-odd ahead of the figure for October. Quite why the distribution has ended up this way is again a matter for thoughts and theories, but it could be that many of the more systematic Munrobaggers come into what is intended as their completion year with 30 or 40 still to do and work their way through these during the summer before finishing in the tail-end of the decent daylight and amenable weather. Those who, by contrast, enter their “last year” with just a few Munros to climb tend to get the job done fairly sharpish, in May or June. That only partly explains why the July figure is relatively low, however – could other factors include a combination of the warmest weather (at least in theory) along with the distractions of school holidays, leading to the Munros being slightly quieter generally in July than in the months either side? Also worthy of mention is the big difference in numbers of completions between February (just 24) and November (201), despite the amount of available daylight being similar in each month. This is almost certainly connected with February tending to have proper winter conditions and thus being regarded as “more serious”, whereas November is usually the back end of autumn with not much snow and ice. The considerable majority of Scottish hillgoers treat Munrobagging as primarily a summer sport, and if anything new can be added during the ironmongery season then it’s a bonus. Anyway, that’s more than enough to try and digest for now. More in due course, as I say, on the interesting subjects of unlisted and repeat completions.